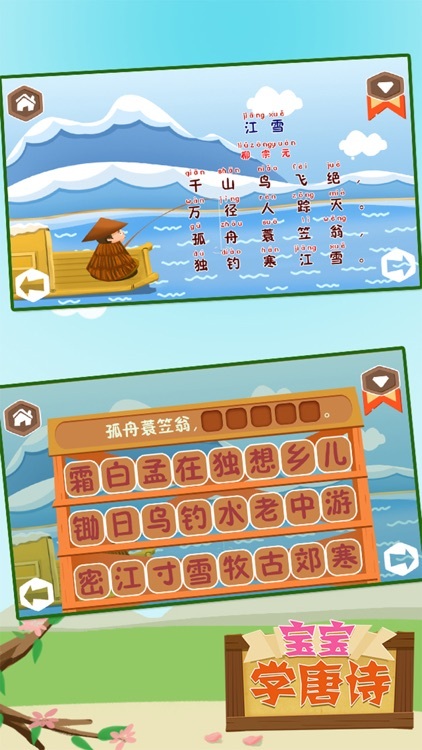 Learning Chinese Poetry is designed for kids or people who loves Chinese Culture. 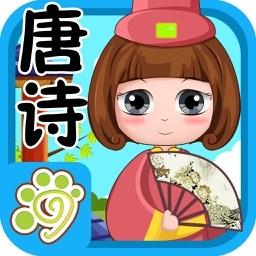 We had selected all those famous and well known Ancient Chinese Poetry for this APP. 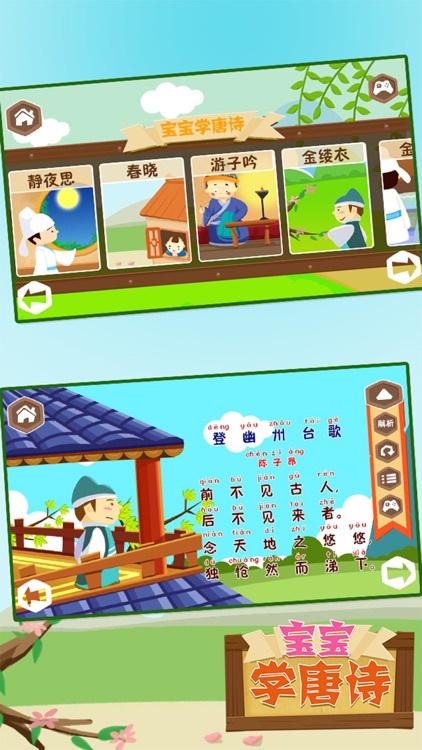 The App consists of Four Parts. 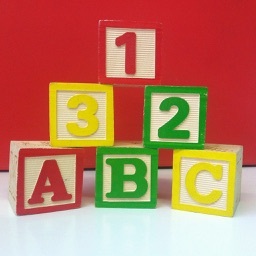 First of all, we will guide and read the Poetry once. 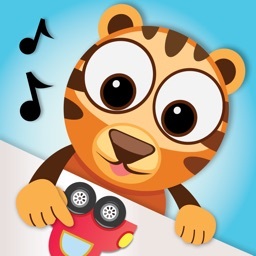 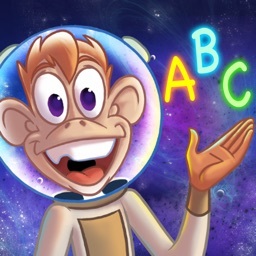 And the Kids/Users can follow the APP and learn the correct pronounce of the poetry. 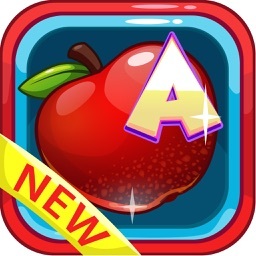 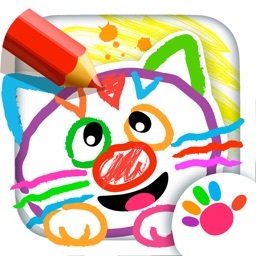 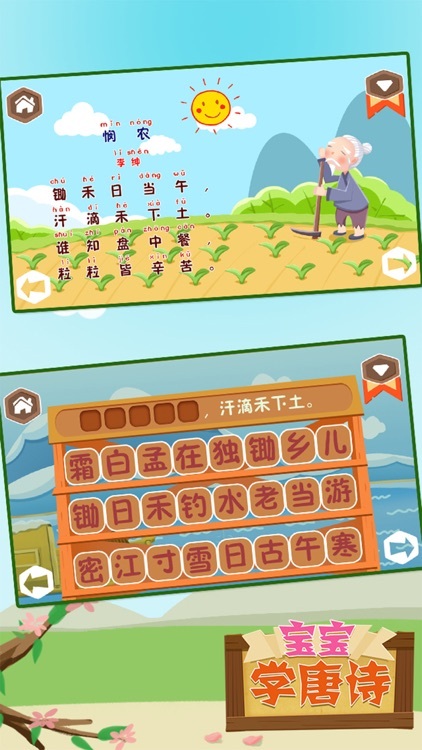 Secondly, they can be able to know about the author of the Poetry by using this APP. 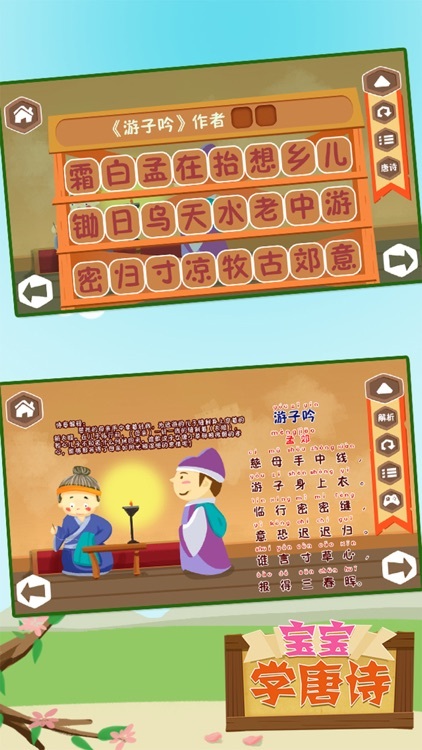 Third, we will explain the meaning of the Poetry in a easy way to make the kids know more about these Poetry and had a better understanding. 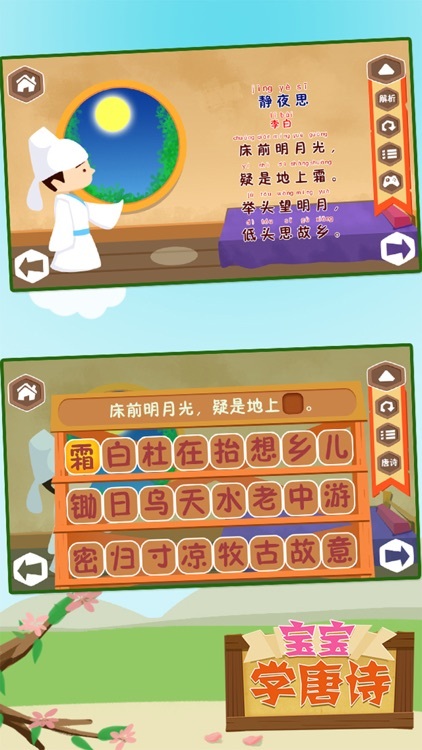 Finally, we also designed a mini game for the Poetry which we think it may help the kids to enhance their memory and develop their interest to learn Poetry and Chinese Cultures.